Many big smartphone manufacturers are working on smartphones with pop up camera set up. According to previous rumors, OPPO R19 and Vivo X25 will come with pop-up cameras. 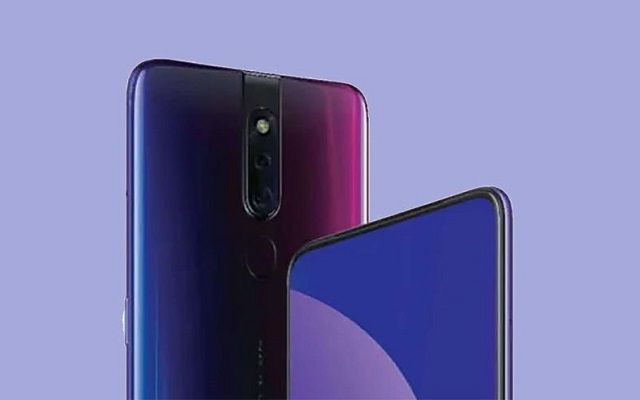 Now more rumors suggest that OPPO F11 Pro will be the first smartphone to launch with pop-up camera setup. 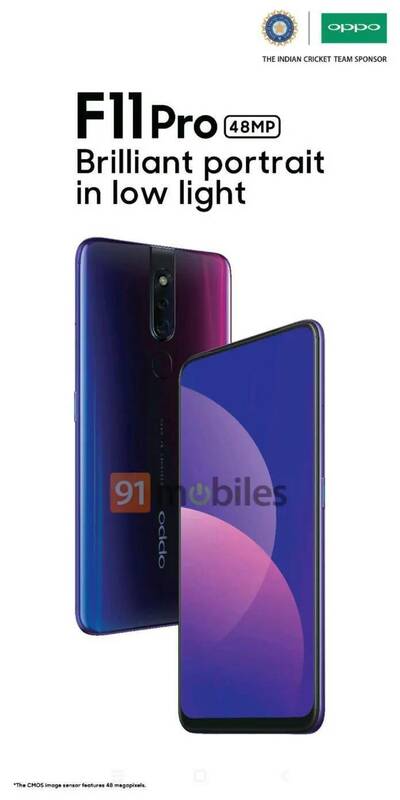 OPPO F11 Pro Renders reveal the design aspect of the smartphone. It has sleek bezels on the sides and a small chin at the bottom with an earpiece integrated at the best bezel. The rear of the smartphone sports a gradient design with a dual camera setup paired with a LED flash. The cameras are placed in a dedicated strip with the LED flash placed on best. There is an oval fingerprint sensor below the camera strip. The device is shown in a one gradient hue model. The rumors also revealed that the phone will sport a 6.5-inch display with a resolution of 1080 x 2340 pixels. Furthermore, it will come with an octa-core MediaTek Helio P70 chipset. OPPO F11 Pro will have 6 GB RAM and 128GB internal storage. The rear will have a 48MP + 12MP camera configuration while the front will offer a 24MP + 16MP setup. There will be a 4,500 mAh battery with support for Fast Charging by a USB Type C.
These are all rumors. Let’s see in which phone the OPPO will offer a pop-up camera setup. Till then stay tuned for more updates.